I was there in Copenhagen in 2009. Fast-forward six years. On Saturday evening in Paris, 187 nations ratified a landmark climate accord known as the Paris Agreement. This 31-page document is a big, big deal. Here’s why it matters and what we learned. First, the bad news. Together, the voluntary commitments the world’s nations agreed to probably aren’t enough. The stated goal of the agreement is to keep global temperatures under 2 degrees Celsius (3.6 Farhrenheit) of warming since preindustrial times, but the best estimate of the actual agreement puts us on a trajectory of 2.7 C of warming. The problem is, since carbon dioxide stays in the atmosphere for centuries, humanity only has a limited “carbon budget” of emissions that it can spend before warming above 2 degrees C is highly likely. Just from the gases already in the atmosphere, we are close to crossing 1 C already and have probably committed ourselves to 1.4-1.6 C of eventual warming. That doesn’t leave a lot of wriggle room. To start, for the first time in history, all nations were at the table and made commitments to reduce or slow their carbon emissions. This means that developing countries like China and India, who have a legitimate point that developed countries pulled themselves from poverty largely by burning fossil fuels, are committed to slowing the growth of their emissions and developing cleanly. Second, and perhaps more importantly, the agreement has a “ratcheting” mechanism to update goals. In 2018, nations will meet to assess progress and new national targets will be declared in 2020 and reevaluated every 5 years thereafter. Each new target must be at least as ambitious as the previous one, effectively ratcheting down carbon emissions over time. This mechanism provides a path to reach a 2 C or lower world. There are reasons to believe this frequent reevaluation will work. Many other pollution reductions quickly became cheaper than predicted due to technological innovation, and there’s no reason to think that carbon pollution won’t follow suit. (Solar power, for instance, is arguably 15 years ahead of schedule.) Adding to the sense of momentum, the Paris negotiations were accompanied by large pledges of public and private R&D investment in energy, spearheaded by Bill Gates. Combine this with the agreement’s transparent emissions monitoring and it’s not hard to see how frequent target updates could help us reach 2 C.
Finally, the most surprising thing about the talks was the emergence of widespread acknowledgement that 1.5 C of warming should be our target. Even if we are potentially committed to 1.4-1.6 C already, we could, in theory, still reach 1.5 C by ambitious cuts in emissions paired with technologies that take carbon dioxide from the atmosphere. These technologies are currently unproven, but with a major, global research push might be ready in time. Small island states have long pushed for 1.5 C. The reason is simple: While it’s nearly impossible to say what a “safe” amount of warming is — it’s akin to asking how many cigarettes you can “safely” smoke — recent scientific evidence suggests that the lock-in point for a catastrophic rise in sea levels — ones that submerge islands from melting glaciers in Greenland and Antarctica — is above 1.5 C of warming. It was also a remarkable display of alliance-building. For the first time, the small island nations were joined in Paris by the U.S. and E.U., leading to a powerful and ambitious negotiating block combining the most developed and most vulnerable nations. Led by the Marshall Islands, these nations make the moral case that climate change inaction will cause their entire nations to cease to exist. It’s a huge testament to them that the agreement says warming should be kept “well below” 2 C and that the world should “pursue efforts” to keep it below 1.5 C.
In the end, saving the world is a long dance and won’t happen in a few short weeks. But in years to come, Dec. 12, 2015, may be remembered as the day the world finally took the first step. IT IS market-day in this red-brick former mining town in northern France. Stall-holders wrap up fat slices of rabbit terrine, or flog discounted hairspray and nail varnish. Outside the town hall, workmen are putting up wooden chalets for the Christmas market. Inside, the National Front (FN) mayor has installed a Nativity scene with life-size figures. French public buildings are meant to be strictly secular, but Steeve Briois insists he is just bringing back a French “tradition”. Last year he was elected mayor with 50.3% of the vote. On December 6th in the same town, Marine Le Pen, the FN leader running for president of the surrounding region, got 59%. Ms Le Pen heads into the second round of regional elections on December 13th on the back of resounding first-round scores. The far-right FN came top countrywide with 28%, beating its previous national record of 25% in European elections last year, and more than doubling its result in regional elections in 2010. Her party finished first in six of France’s 13 regions, including some, such as Burgundy or the Loire valley, with no strong history of supporting the FN. In both Nord-Pas-de-Calais-Picardie, where Ms Le Pen is running, and Provence-Alpes-Côte d’Azur in the south, where her niece Marion Maréchal-Le Pen is the candidate, the party grabbed fully 40%. Up to a point, the French saw this coming. Since she took over in 2011 from her father, Jean-Marie Le Pen, who founded the party in 1972, Ms Le Pen has racked up electoral successes. Polls have long suggested that she could top first-round voting at France’s next presidential vote, in 2017, securing a place in the run-off, as her father did in 2002. For months Manuel Valls, the Socialist prime minister, has warned that the FN is “at the gates of power”. But France has been shaken nonetheless. Unlike Mr Le Pen, who traded in outrage and provocation (and whom she evicted from the party for it), Ms Le Pen is intent on appearing respectable—and on governing. The northern region alone is more populous than Denmark. Le Monde called the result an “earthquake”. Mainstream parties are scrambling for a way to thwart her. Mr Valls ordered three Socialist candidates who came third to step down (one refused), and urged voters to back the centre-right instead. For the long-ruling Socialists in the north, asked to tread pavements and hand out leaflets for the centre-right, this was a cruel defeat indeed. Polls suggest the run-off will be tight, and the FN may struggle to win even a couple of regions. But that would still be historic. Should Ms Le Pen or her niece fail to win, the party will play the victim card and denounce the ruling elite for ganging up on it. In his turreted grey-stone town hall, Mr Briois says with a grin: “We win either way.” For these elections are part of a long-term strategy: to build up a network of local officials, and a record of government, as a stepping-stone to the Élysée Palace. An FN poster says it all: Marine, présidente. Le Pen, mightier than the scimitar? Above all, there seems to be an urge for an alternative to the Fifth Republic’s two-party dominance. Recent crises over migrants and terrorism have played into Ms Le Pen’s hands. For years she has been treated as hysterical by polite society for railing against radical mosques and leaky borders. An FN election poster in the Paris region trades on fear of Islamism by portraying a woman in a face-covering burqa. Yet today it is a Socialist president, François Hollande, who has introduced a state of emergency, reintroduced border controls and shut down three Islamist mosques. Still, there is also popular disillusion with the unkept promises of the Paris-based elite. Unemployment rose in the third quarter to 10.6%, its highest level for 18 years. The FN is now the most popular party among working-class voters and those who left school without qualifications—the “forgotten people of the republic”, says Ms Le Pen. Next to a former president (Nicolas Sarkozy, leader of the centre-right) and the current one (Mr Hollande), Ms Le Pen, who learned politics at her father’s knee, appears positively fresh. “We’ve tried the right, we’ve now got the left, why not try something else?” shrugs a voter at a café in Hénin-Beaumont. China Remains Biggest Challenge for U.S. Buried under the avalanche of reactions to presidential candidate Donald Trump’s verbal attack against Muslims, the stream of headlines about the San Bernardino couple who shot and killed more than 14 people last week and the dissection of President Barack Obama’s Sunday Oval speech about the war against the so-called Islamic State (IS) was a very significant announcement. Singapore said it would allow the US to deploy a spy plane out of its territory to monitor Chinese activities in the South China sea. 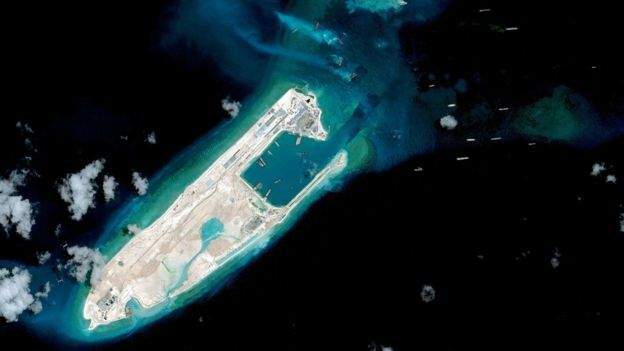 The move, which angered the Chinese, comes at a time of heightened tensions in the area over China’s building of artificial islands in disputed places. It is a reminder that while Washington’s thinking, bandwidth and resources, including military, seem continually consumed by the crisis and threats emanating from the Middle East, the more serious long-term challenge for US national security interests remains the management of its relationship with China. The complexity crisis in US foreign policy is how security and defence analyst Anthony Cordesman at the Center for Strategic and International Studies (CSIS) describes it. He talks of the need to handle multiple, urgent and important short-term and long-term crises at the same time and being reactive while formulating coherent long-term strategies. It’s a challenge that has frustrated the Obama administration. The president had hoped to disentangle the US from the Middle East and its wars during his time in office, only to find the region follows him everywhere: he had to answer numerous questions about his Middle East strategy, in the wake of the Paris attacks, during a trip to Asia last month. The stops in Manila and Kuala Lumpur were meant to showcase a landmark trade deal – the TransPacific Partnership (TPP) – which leaves out China. While the TPP is seen as a key part of the administration’s much-vaunted rebalancing towards Asia – what Obama had conceived as a grand realignment in how the US approaches the world, once dubbed the Asia Pivot, has become more of a grinding daily and crucial exercise to keep up with Beijing. The Chinese capital has emerged as a regional and world power at an unusual speed for a rising power, spreading its money across the globe as well as aggressively asserting itself in Asia. 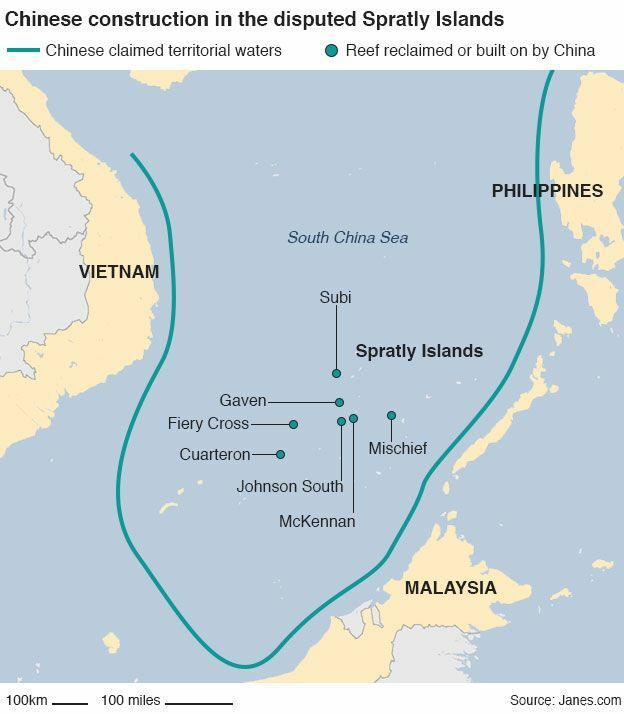 Tensions in the South China Sea because of disputes with other claimants like the Philippines and Vietnam are leading to alarming headlines about possible conflict. China insists it is simply doing what all its neighbours are trying to do – but it is doing it at dizzying pace. China’s exact intentions remain unclear, but the overall assessment is that Beijing wants to slowly push the US out of the area without causing a conflict. Experts say that while China knows it cannot claim territorial sea based on land reclamations, the artificial islands will allow Beijing to have forward military bases and patrol the seas a long way away from China. But China’s military is also moving well beyond its usual focus on protecting the borders. Beijing has just announced it will build its first overseas military outpost in Djibouti, a naval facility, not far from the US’s own military base and its only one in Africa, Camp Lemonnier. In Pakistan, the Chinese signed $46bn worth of energy and infrastructure contracts. The Chinese Pakistan Economic Corridor will open up new trading routes from Beijing to the Middle East. China is also building a new Silk Road to Europe – a strategic economic agreement that could rival the TTP. Last month, the IMF announced that the Chinese renminbi would join the world’s basket of reserve currencies. When China announced it was setting up an Asian Investment and Infrastructure bank, the US tried to strong-arm its allies in staying away, but 57 nations joined, including the UK. All of this has led to criticism that Obama is not pushing back hard enough against an assertive China, with one analyst, Harry Kazianis, even claiming that the US has just handed over the South China Sea to Beijing, along with the annual $5tn of international trade that goes through it. “There is concern about whether the US is doing enough to impose a cost on China for what is seen as destabilising behaviour,” said Bonnie Glaser, a China expert at CSIS, who pointed out it took two years for the US to finally conduct freedom of navigation operations in the South China Sea to push back against Beijing. Direct conflict with China is highly unlikely, but the risks would be enormous and the impact on the US economy tremendous. US goods account for one-fifth of all trade passing through the South China Sea. But accidents are possible and managing the relationship is an exercise in balance and subtleties that requires constant co-ordination with Asian allies, also in dispute with the Chinese. 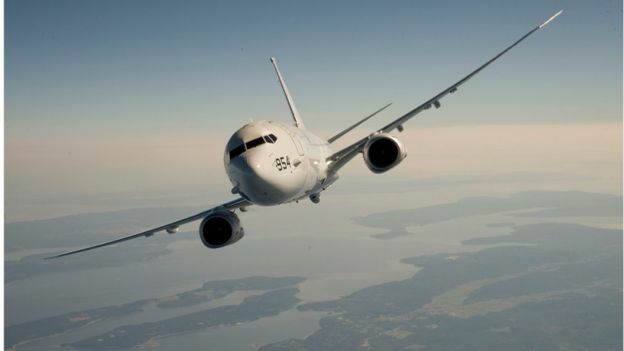 Image captionThe US has deployed a P-8 Poseidon spy plane to Singapore for the first time. Many experts think Obama has handled China well – but warn it is a work in progress, which will need to be continued by the next president, no matter how much China-bashing happens during the presidential campaign. None of the world’s long-term big problems, like climate change, can be resolved without Beijing – COP21 talks in Paris have been yet another reminder. A situation where the US is spending more and more on its military and trading less because of China is not inconceivable. So if the headlines today are urgent and the crisis in the Middle East real, the long-term strategic implications for the US of mismanaging the relationship with China are worse. https://www.worldkentucky.org/wp-content/uploads/2015/12/China.jpg 371 660 Web Editor https://www.worldkentucky.org/wp-content/uploads/2017/05/imageedit_1_5849451921.png Web Editor2015-12-18 16:07:382016-03-12 18:22:37China Remains Biggest Challenge for U.S.
Until last Tuesday, America and Britain were the only countries with a proven ability to fire cruise missiles at land targets from submarines. Then a salvo of missiles burst through the placid surface of the Mediterranean and soared into a cloudless sky, demonstrating that Russia had become the third member of this elite club. The cruise missiles launched from a Kilo-class submarine provided visible proof of how President Vladimir Putin is using his intervention in Syria as a showcase for Russian military prowess. Advanced warplanes – never previously used in combat – are being dispatched into Syrian skies, the best tanks in the Russian army are fighting on the ground, and flights of cruise missiles are soaring overhead. Yet the Syrian rebels on the receiving end have no air defences and precious little advanced weaponry. There is no obvious military reason for why Russia would employ the heaviest sledgehammers in its arsenal to crack some relatively small nuts. Experts believe that Mr Putin’s real goal is to seize the attention of America and Nato. Having increased Russian military spending by at least 50 per cent since 2005, Mr Putin wants to prove that his armed forces have matched some of the West’s most formidable military assets. The cruise missiles emerging from the Mediterranean were probably the most important element of this display. For the last 20 years, the United States Navy has been able to fire Tomahawk land-attack missiles from its Los Angeles class submarines. The Royal Navy has done the same from its Trafalgar class submarines, now being replaced by the Astute class. Given that cruise missiles have a range of at least 1,000 miles, this allows both navies to strike targets almost anywhere in the world, using an undetectable launch-pad hidden in the depths of the ocean. As such, the submarine-launched cruise missile represents a pinnacle of naval might. The Anglo-American duopoly was being challenged by France, which will acquire the ability to fire cruise missiles when its Barracuda class submarines enter service in 2017. China is also developing a version of this weapon. But it turns out that Russia got there first. The Kremlin was quick to release video footage of the missiles bursting out of the sea in the direction of Syria. “As a result of the successful launches by the aviation and submarine fleet, all targets were destroyed,” announced Sergei Shoigu, the Russian defence minister. Whether cruise missiles are the “most cost effective way” of destroying defenceless targets in Syria is open to question, said Brigadier Ben Barry, a senior fellow at the International Institute for Strategic Studies. But cost and efficiency may not be part of the calculation. “If I was a Russian staff officer, I’d be saying ‘this does have a deterrent effect – Nato is going to sit up and take notice of this’,” said Brig Barry. Earlier, Russia had launched cruise missiles from four warships in the Caspian – the first time that its navy had fired these weapons from surface vessels. Other fruits of Mr Putin’s military modernisation programme have been placed on display since his expedition to Syria began on Sept 30. The Russian air force has taken delivery of 46 new Su-34 Fullback strike aircraft. These advanced warplanes are now being sent into action to destroy targets in Syria, no doubt allowing Russian experts to evaluate their performance. Earlier this month, it emerged that the T90 main battle tank – the Russian army’s most advanced model – was being deployed on the front line in Syria. The older T72 had proved vulnerable to anti-tank missiles used by the rebels. But the T90 is protected by the “Shtora” jammer, a defence system which disrupts the guidance mechanism of any incoming missiles. This protective shield will now receive its first test in combat. In the air, Russia has sent its most formidable strategic bomber – the Tu-160 Blackjack – to strike targets in Syria. This swing-wing supersonic aircraft was first designed as Russia’s answer to the American Rockwell B1 Lancer. Its original task was to penetrate heavily defended airspace and deliver nuclear weapons. There is no obvious military reason for dispatching such a leviathan to punish rebels in Syria – unless, of course, the goal is to impress a wider audience. But there is another, less obvious lesson from Mr Putin’s brazen display. If there is a weapon that has not appeared in Syria, that is probably because it does not actually work at all. For years, Western observers have doubted the operational capability of the only aircraft carrier in the Russian fleet, Admiral Kuznetsov. With its Mediterranean coastline, Syria is the kind of the country that would be vulnerable to air strikes launched from carriers. But, so far, Admiral Kuznetsov has been conspicuously absent from the campaign. Mr Putin is taking the opportunity to show the West all the firepower at his command. But he is also revealing what he does not possess.